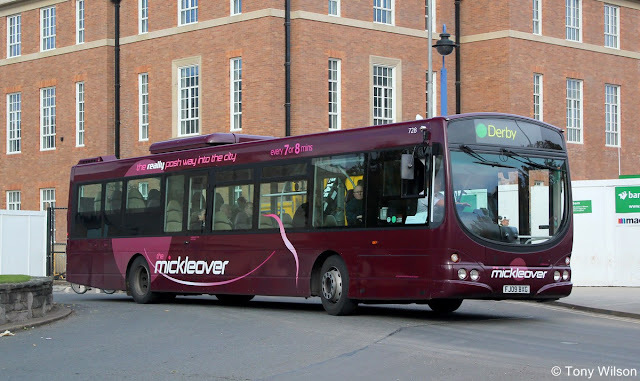 Passengers on two routes operated by Trent Barton from Derby are to benefit from the introduction of a fleet of brand new buses by the end of the year. Based firmly in the busy East Midlands area the company will acquire 22 Alexander Dennis Enviro200 MMC single-decks. 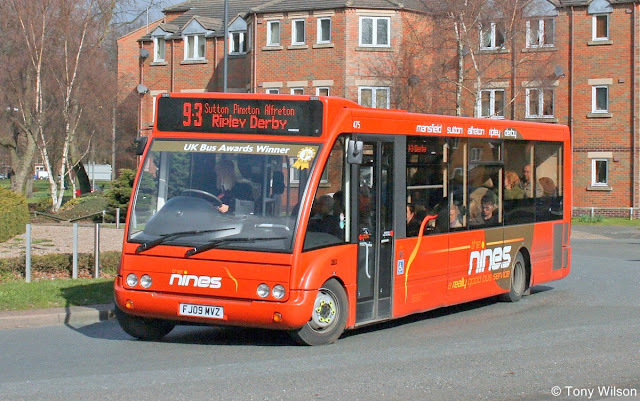 Eight Scarborough built 11.8m long 42-seater versions will operate on the 'Mickleover' out to the western side of the city, plus fourteen 10.8m 38-seaters for the 'Nines', which runs northwards to serve Ripley and Alfreton then on to Mansfield. Investing £3.5m the buses will be built to a high specification that includes wood-effect flooring, LED lighting, audio-visual next-stop announcements, free Wi-Fi and USB charging points at every seat. In turn these new buses will replace Wrightbus bodied 45-seater Volvos on the 'Mickleover' and 33-seater Optare Solos on the 'Nines', both sets of which being 09-registered vehicles, so have turned in a good few miles between them.